Obituary for Myles L. Carter | Schaffer Funeral Home, Inc.
Myles L. Carter, 84, of Paulding, passed away on Wednesday, November 7, 2018 at The Laurels of Defiance. He was born on October 8, 1934 to Clarence and E. Mildred (McDaniels) Carter in Gas City, Indiana. On January 19, 1953 he married Stella (Hamilton) Carter, who preceded him in death on July 29, 2015. Myles worked for several years at SK Hand Tools until his retirement. 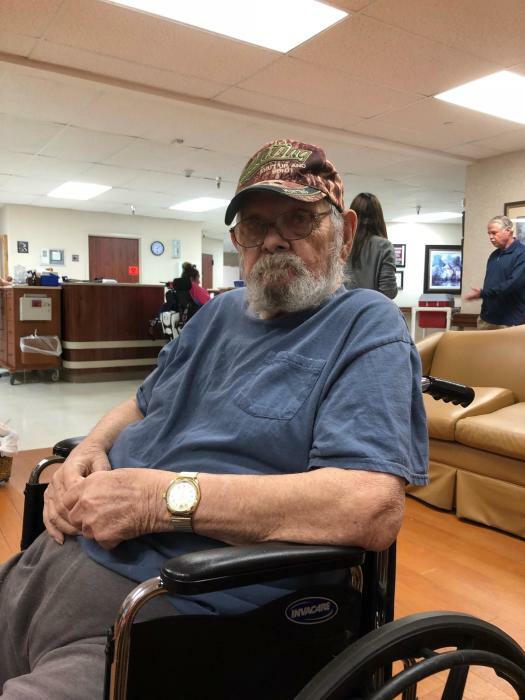 He enjoyed fishing and bowling, and he loved spending time with his family. Myles will be sadly missed by his sons, Jesse (Deb) Carter of Defiance, and Mark (Brenda) Carter of Michigan, daughters, Ronda (Rich) Yates of Paulding, and Carla Lambert of Cloverdale, 12 grandchildren, 29 great-grandchildren, 2 great-great-grandchildren, and sisters, Sue (Mike) Scranton of Hicksville, and Billie Stull of Bryan. In addition to his parents, he was preceded in death by his wife, Stella Carter, son, Chris Carter, great-grandson, Gage Kaiser, Alec Fisher, and Braeden White, sister, Sharron Planck, and son-in-law, Troy Lambert. Visitation will be held from 2-8 pm on Sunday, November 11, 2018 at Schaffer Funeral Home in Defiance. Funeral services will be held at 11:30 am on Monday, November 12, 2018 at Schaffer Funeral Home, with Rev. Max Begley officiating. Burial will follow the service at Ayersville Cemetery. Memorials are suggested to The Rheumatoid Arthritis Association, or Parkinson's Foundation. Online condolences can be given at www.Schafferfh.com.